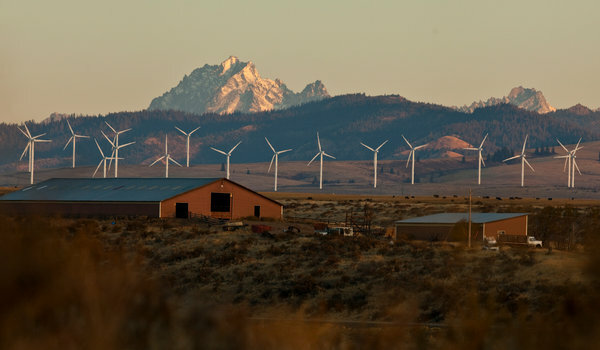 I was dismayed with the recent Bonneville Power Administration's decision to curtail the wind turbines because of an overabundance of electricity. Shouldn't the curtailing be happening with the oil, coal and gas that harm our environment? How will wind power be able to get enough foothold to reduce the three largest polluters? Is this a tease game being played on taxpayers to think we are getting clean energy by giving us a little trickle, but the big three polluters in reality will continue to rule the source of energy? If this isn't the case, why isn't there something already put into place that allows wind, water and solar to grow in order to meet the demands for clean energy? Turning off wind energy to avoid BPA sending excess water over the falls to avoid harming salmon is not looking at the big, long-term picture for the clean energy our world needs. Do the powers that be really want a cleaner environment? Actions speak louder than words, and I think not. I love wildlife, but as a side note salmon are accumulating so much mercury and toxins the U.S. Food and Drug Administration doesn't recommend pregnant women and children eat them. Who are we saving them for?